Finding your way around Palma de Mallorca, you will probably have come across a number of vast walled-in areas which look perhaps a bit ominous. These are possibly some of the many military cuartels (barracks) that exist here on the island. 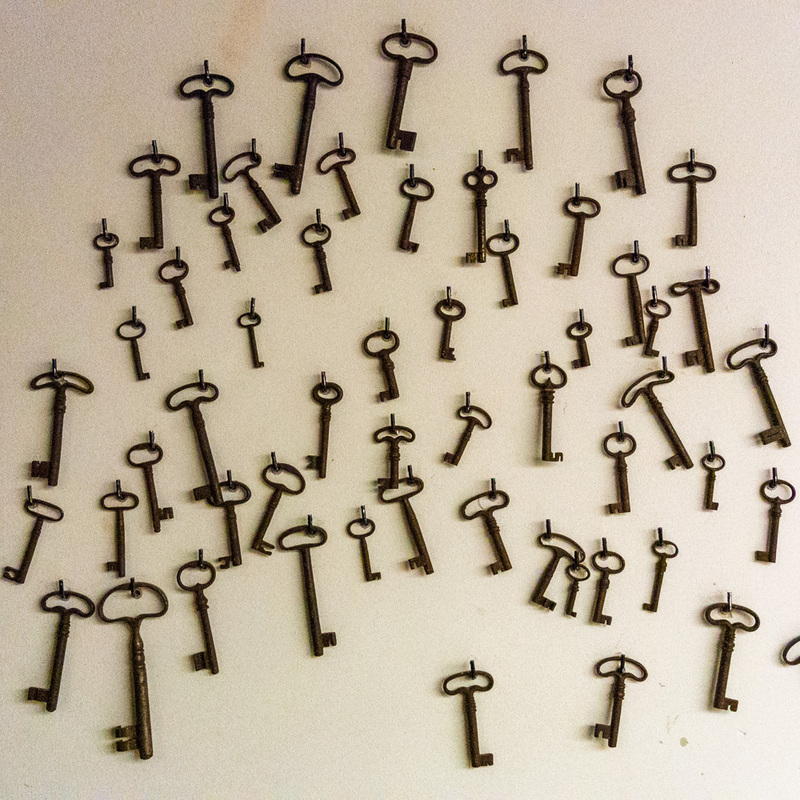 There may be a dozen or so of them. 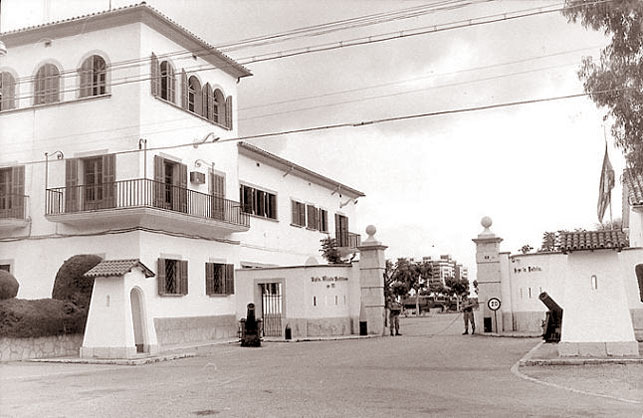 The Cuartel de Son Busquets is one of these barracks, not far from the Ocimax leisure complex. 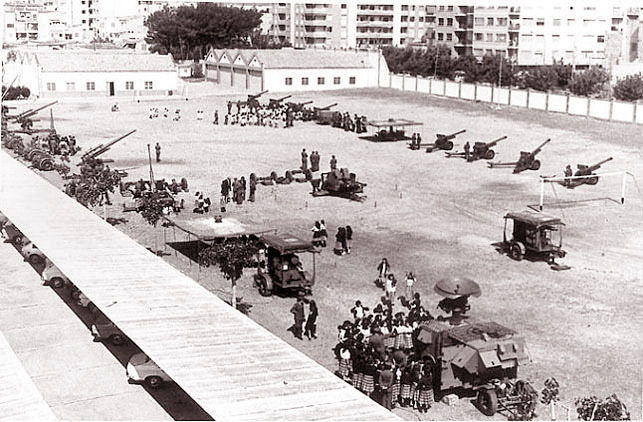 Son Busquets was established in 1957 as the Regimiento de artilleria mixto nº 91 (artillery regiment). It was still active some five years ago but, has since been vacated. Possession is still in the name of the Spanish Fuerzas Armadas (Armed Forces) but, in times of austerity the Military and the Ministerio de Defensa may well seek to offload some of its land estates. 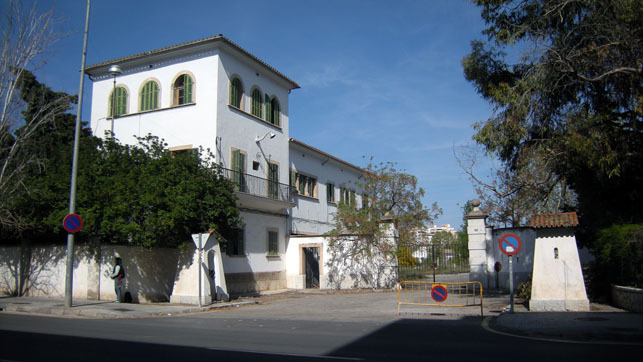 There had been talk of the Govern Balear offering to buy the land for the sum of 12,000,000 € a few years ago to build a council estate with some 1,200 viviendas de protección oficial (protected housing) but, I am not aware that this has gone ahead. There simply is no money in the coffers, any longer. And there may be no other buyers, either, what with La Crisis. 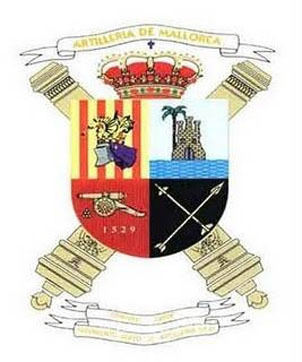 The Artillería de Mallorca has quite some history to look back at. It was established almost 500 years ago, in 1529, and is claimed to be the oldest artillery unit in the whole of Spain. No doubt, there will be some celebrations going on in 18 years time. Somehow I doubt that the Mallorca Daily Photo Blog will still be going then but, if it should, I shall happily keep you in the know. The photo (top) was chosen from my archive. It was taken in Palma de Mallorca, Baleares, Spain. The date: April 14th, 2010. The time was 16:26:22. The photos (centre and bottom) were borrowed from the Internet, courtesy of diariodemallorca.es. The old towns walled cities and beautiful beaches are enough – but the mountains – for me there is nothing to beat the mountains of Mallorca and the wonderful Almond groves which fill the island with blossom in February… I spent some years there in my teenage years and went back for the first time in 35 years last year. Why oh why did I wait so long! I quickly bought a lovely apartment in Palma town itself and a seaside studio for when my children want to visit… I managed to do some Christmas shopping this last visit.